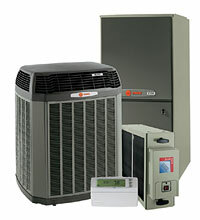 Gas Furnace Prices can vary from furnace installation to furnace installation in Boulder / Longmont based on your home. These are our starting, basic prices. Each price shown is subject to change depending on layout of the house and difficulty of the install. Every home is different and each offers different challenges that must be inspected and evaluated by our salesman before any price is finalized. Please call Ameri-Mech Heating and Cooling at 303-975-6090 for Gas Furnace Prices in Boulder / Longmont, Thornton and surrounding areas. We will discuss several variables with you before giving you an accurate price quote. Ameri-Mech Heating and Cooling prefers Bryant Furnace equipment but it is ultimately up to you, the customer, as to which furnace brand you prefer in your Colorado home. 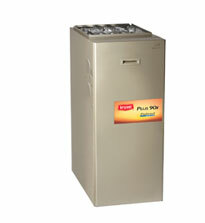 We will provide as much information as you need to choose your new high efficiency furnace. Furnace Pricing in Boulder, Longmont and the front range, varies upon the size required for your home, the brand / quality of furnace you are looking for, the installation location [attic, basement, or crawlspace, etc. ], and whether you need additional duct work installed. High efficiency furnace pricing adds another level because you will need to take into account the amount of efficiency that is best for your family and the amount of time you expect to own your home. Make sure your New furnace cost comparisons are between similar units. Be sure to get all the specifications if you are going to make accurate comparisons of new furnace cost quotes. Just because one furnace is cheaper, doesn’t mean it is the best furnace for your home. You can trust that our home heating system specification will be just right for your home. The cost of a new furnace in Colorado is half of the equation. The other half is it’s operating efficiency. New furnaces are made to last for years, and the efficiency of your new furnace will affect the lifetime cost of your new furnace. It is important that you analyze lifetime costs of new high efficiency furnaces. High efficiency furnaces may cost more than a standard furnace, but the additional cost will be offset over the years. Buying a new furnace is not as confusing as it sounds. 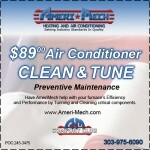 Ameri-Mech Heating and Cooling makes it easy. We will be happy to recommend the best furnace price for your home. Just call 303-975-6090 to discuss your heating needs.